A good question to ask this time of year. With Valentine’s Day right around the corner, we’ll give you some insight into the common forms of chocolate and their health benefits. We’ll start with cocoa in its most popular form – chocolate! 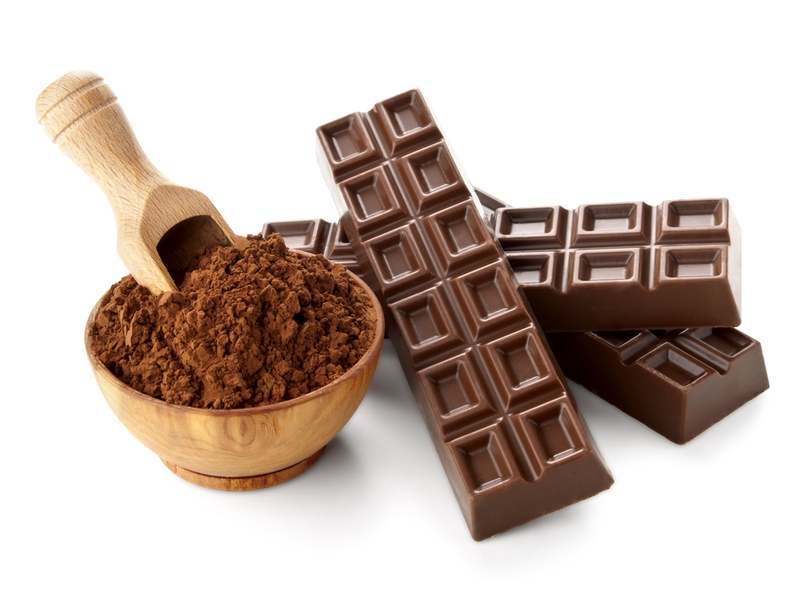 Chocolate is made from the cocoa seed which has been fermented, ground into a paste, sweetened, and flavored. The classification (milk, semi-sweet, dark) or percentage on the label indicates how much sugar, cocoa butter and milk solids have been added in processing. More sugar and milk solids means lighter, milkier chocolate whereas less of of these add-ins makes for a darker and more bitter final product. Dairy binds to the polyphenols in chocolate inhibiting their antioxidant activity. When selecting chocolate, look for dairy-free products. Next up, we have powder aka the stuff that many of us associate with a cozy homemade mug of hot chocolate in the colder months. Canisters and bags of cocoa powder and cacao powder can be found in the baking aisle. Think homemade brownies and rich, dark chocolate cookies. We love adding small amounts to dairy-free smoothies, like this Chocolate Detox Smoothie, for a rich chocolatey flavor! Wondering what the difference is between cocoa and cacao? Cacao is made from cold-pressed (as opposed to roasted) beans. While there is some debate over how this affects the beneficial properties, it seems they can be used interchangeably in most recipes from a flavor perspective. 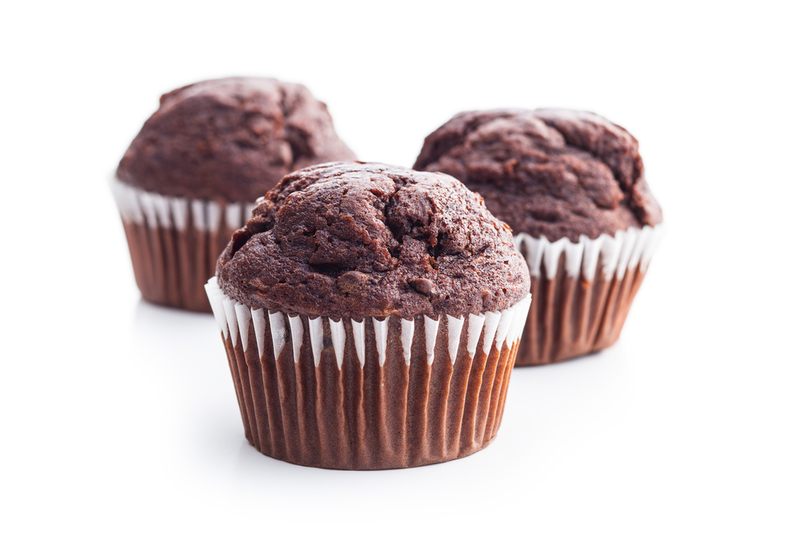 Just be sure you are using unsweetened powders over the pre-sweetened mixes that are also available so you can control the sweetness yourself. If you are looking for some pre-made snacks, our partner Epicured has some delicious, vegan and gluten-free Mocha Espresso Energy Bites that contain cacao and chocolate chips. Serving size is on point. Use code LIVINGPLATE for 25% off. Lastly, cacao nibs have been gaining in popularity in recent years as a way to add some extra crunch and a deep roasted flavor without the added sugar and indulgent taste that comes with chocolate chips. Cacao nibs are essentially cracked cacao beans which have been removed from the shell. They are small but mighty (similar in flavor to espresso beans) and make a great topping for smoothie bowls and oatmeal. Be warned that they have a bitter taste so they probably aren’t the best choice for snacking on as is like you would with chocolate chips. Melt 3 tablespoons of dark chocolate with 1 teaspoon of coconut oil and drizzle over cold fruit, like we did here. Disclosure: Some of the links provided here reflect partnerships we have with brands we believe in. While we may receive compensation to help support our organization, we would never recommend a product we don’t believe in and maintain the highest standards of integrity when recommending commercial products.